Over the last 30 years, the increasing scarcity of natural resources and the acknowledged impact of human industrial activity on our environment have led to a shift toward sustainable development. Within the chemical community this has translated into the search for “green” alternatives to traditional synthetic methods. The principles of green chemistry highlight the need for the development of processes which are highly selective, efficient, and utilize environmentally-benign materials. 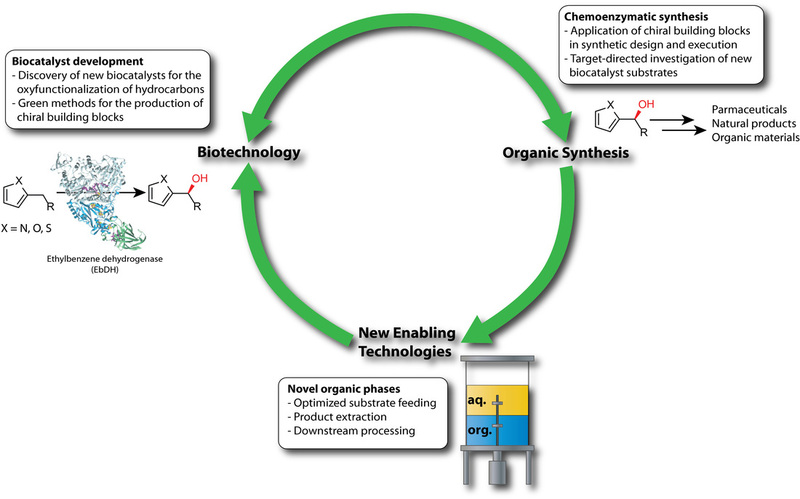 Biocatalysis is uniquely positioned to meet these challenges as enzymatic reactions are often chemo-, regio-, and stereoselective while operating in water, under mild conditions.